Long time ago, before mobile and touch and fake news, Linux had app stores. It had app stores before there were app stores. The concept of centralized package management, wrapped nicely with an inviting GUI turned out to be a robust, welcome feature, be it free or paid software. But then, round 2012 or so, things went downhill. Since Ubuntu Software Center, the one real "pro" store in Linux, there hasn't really been a successful GUI package manager. The old and proven Synaptic is there, of course, and there's Muon too, but they aren't really shop-and-buy things. As for all others, well ... half-baked products mostly. Well, now, a challenger appears, and its name is Software Boutique. First seen by me in Ubuntu MATE 18.04. Let's explore. Wait ... do we need ANOTHER software manager? Yes, we do. With USC being consigned to the age of nostalgia, the Linux desktop does not really have a good software manager. Neither Gnome Software (nor many of its forks in whichever form) nor Discover cut it. They are inaccurate and inconsistent (GUI vs command line), they are slow, and visually, they aren't that inviting. For ordinary people who expect the 'simple and easy' stuff, there isn't the right answer. Of course, USC was the right answer. It had the integration with Ubuntu One and you could actually buy stuff with real money. It was everything that Linux needed - and still does - to be taken seriously. Alas, until that happens, if ever again, the GUI software management will remain a critical flop. 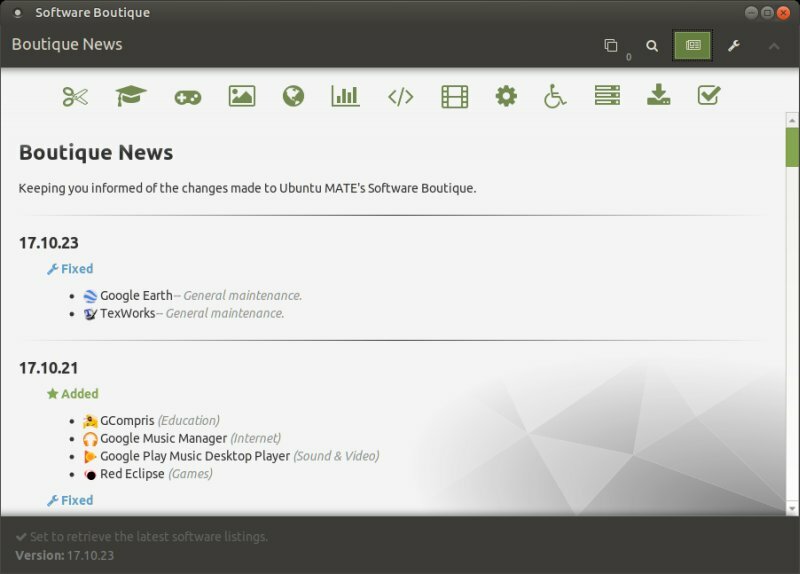 Software Boutique, developed by the MATE team, is an attempt to solve this problem by focusing on the fundamentals. And from my Bionic Beaver testing, it seems to have hit the nail squarely on the head. Now that we're done with this intro, let's talk shop. 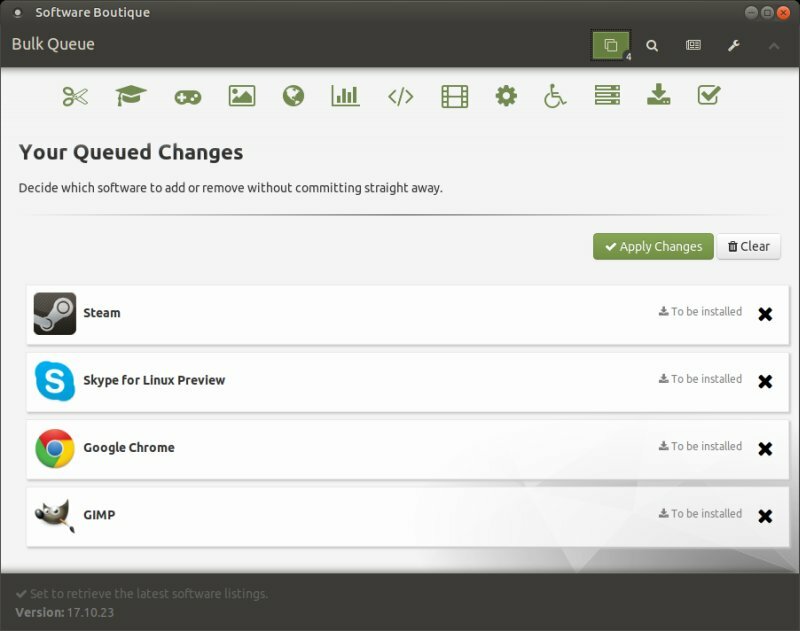 Software Boutique has a simple and clean interface with a top-bar navigation that lets you switch among different categories. By default, the program is designed to retrieve the latest software listing automatically, and it will also display proprietary software. Click on any which category, and you'll get the list of available stuff. You can expand to see details, or click to install right away. 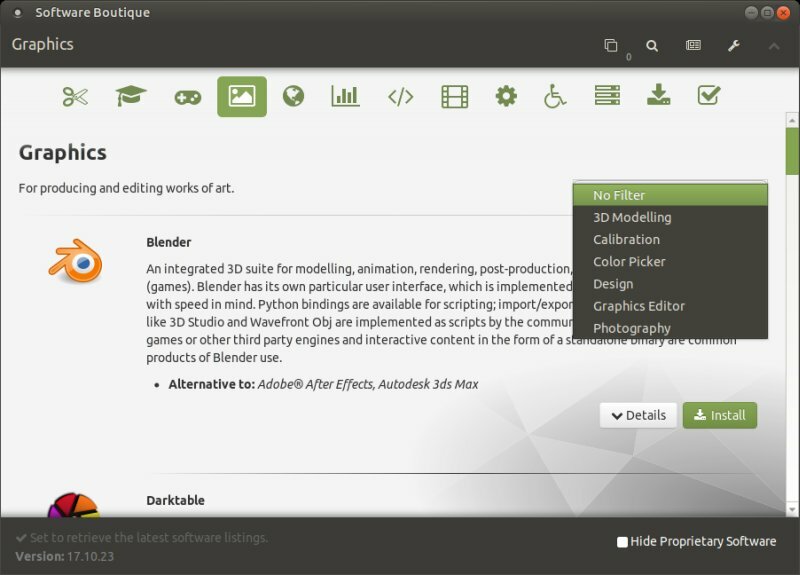 You also have the option to filter the software - with the filters being different for each category. For instance, for graphics, you can search for only design or calibration tools if you like. There seems to be a reasonable level of consistency in how the applications are listed and presented. 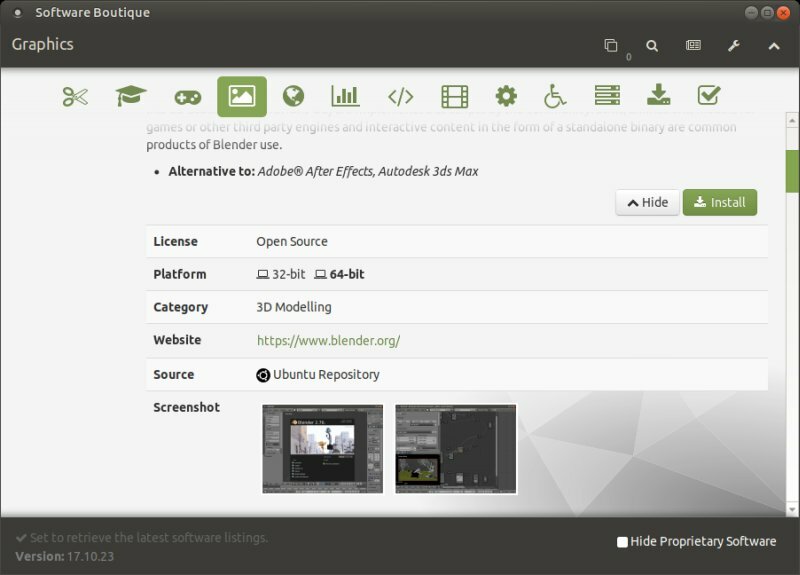 Each program comes with a description, alternatives, basic platform details, website link, as well as several screenshots. Very neat. While testing Bionic MATE, I went about searching for programs. 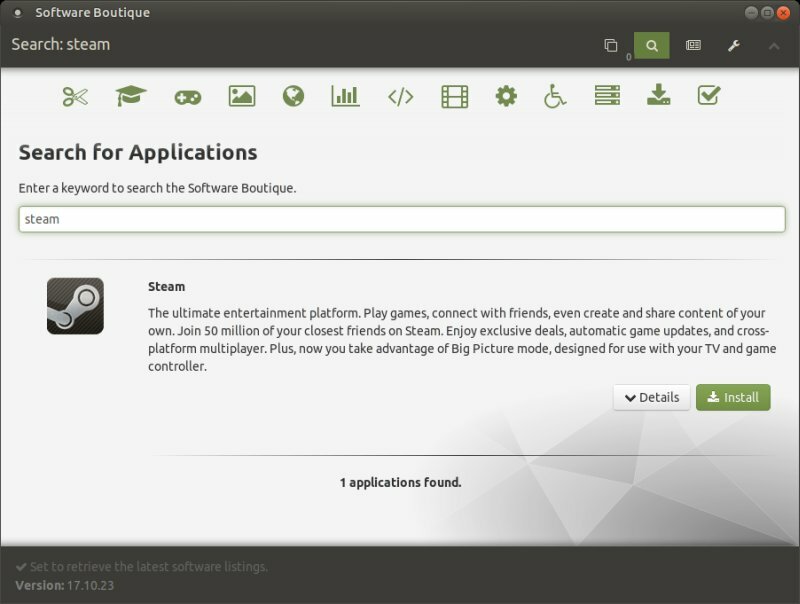 Boutique already proved its worth by offering Steam (as opposed to many other GUI managers that fail to list this app but it does show on CLI), it did not need to enable or refresh the Partner channel separately, and it also gave me Chrome and Skype, both of which have not been seen recently in most Linux repos and/or package managers. Then, once you have the programs selected, you can bulk install them. It worked very well. I have no complaints. Sweet. The TWO things that can be improved are 1) if you hit the Search button, the mouse does not auto-focus into the search box. So it's two mouse clicks before you can actually type, whereas I'd expect a single click (if any) to get this rolling 2) software reviews. But that's it. There's more. If you check the preferences, you get a simple yet detailed menu that lets you configure the package manager to your liking. Boutique has a simple switch to allow you to hide proprietary software. 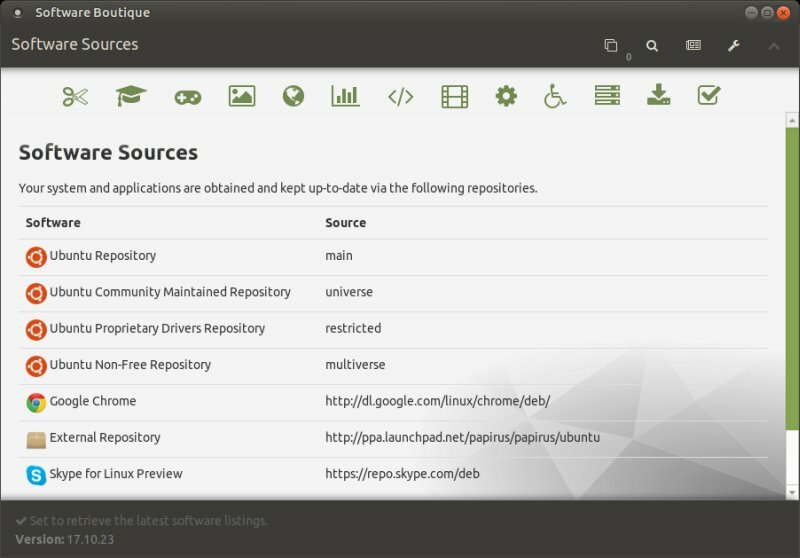 Then, you also have the advanced options of managing sources and repos. 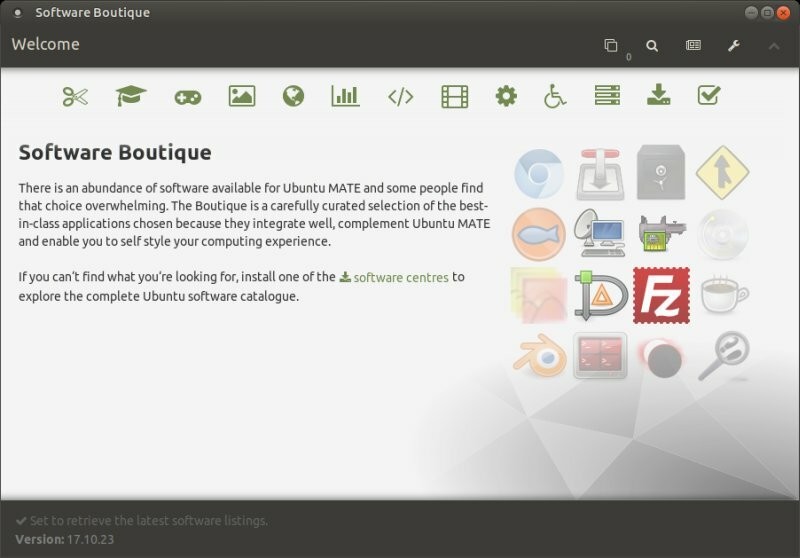 The last button will actually open the standard Ubuntu wizard, which lets you do the configuration the traditional way. 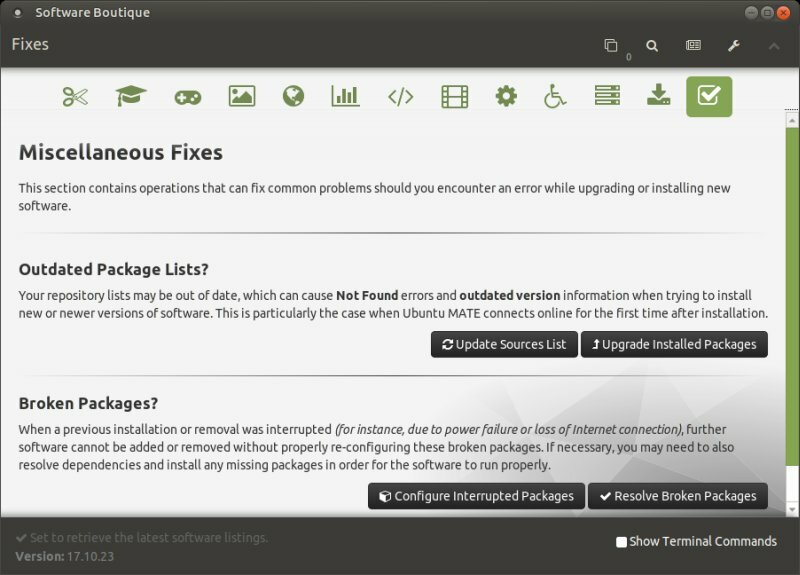 Boutique will also let you upgrade software, update the software listing or repair your package manager index, which can get broken if you interrupt an installation or mess up the dependencies or similar. Experienced users will easily get this done using the command line, but for ordinary folks, this is tremendous help. 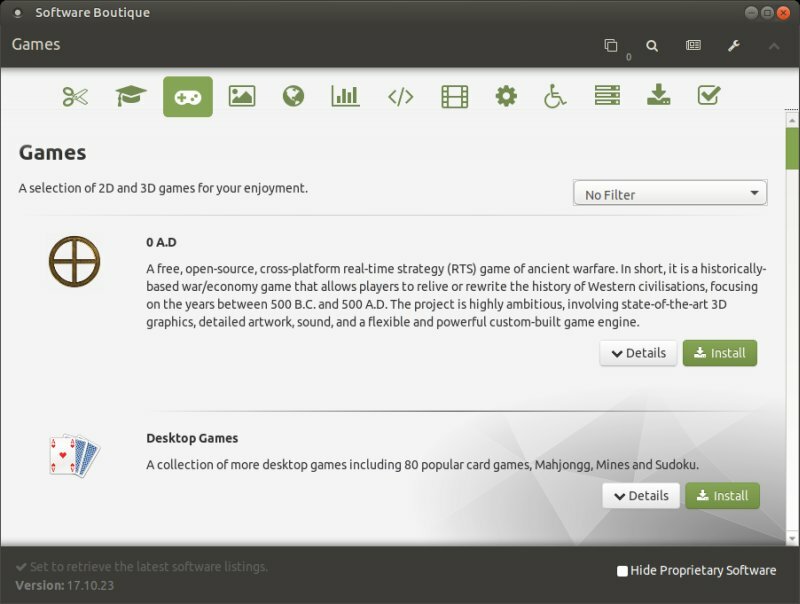 Boutique also has a news section, which tells you about the tool development. And last but not the least, it will show notifications on the desktop, informing you about your installations and upgrades. If we judge the Linux GUI package management saga from a purely energy state perspective, we have come a full circle. 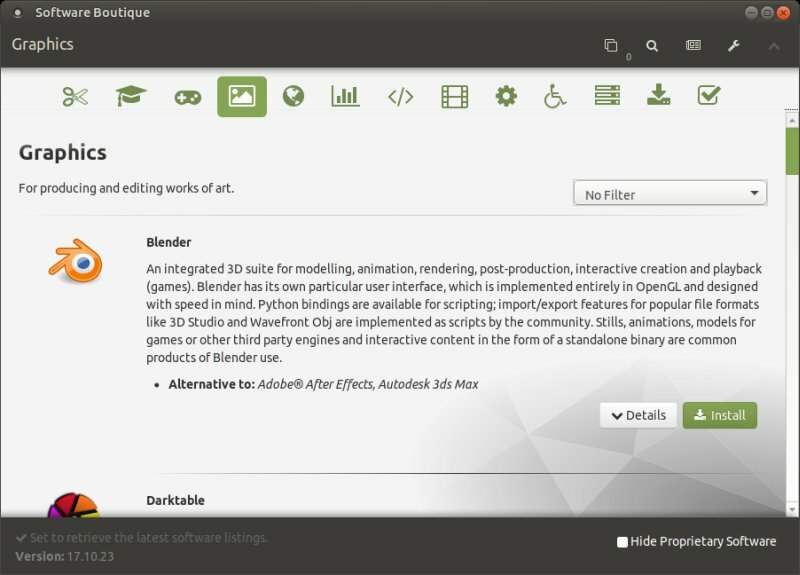 There was a great GUI tool, it got axed, half a dozen efforts came and went, and we now once again have a program that does what USC did (well almost) five or six years ago. Everything in between was a complete waste of time and effort. But the important thing, from the user perspective, is that we DO have a GUI software manager that actually works. And it's called Software Boutique. As I've noted in the MATE Beaver review, this is by far the best program of its kind currently on the market, hands down. The list of superlatives is long. But it's elegant, aesthetically pleasing, accurate, fast, robust, simple, and it does a wonderful job of making package management a fun and interesting exercise. And if the little print can be trusted, it should be easy to deploy and use on other distros, too. Of course, this ties into the bigger battle of egos and sandbox development that is Linux. 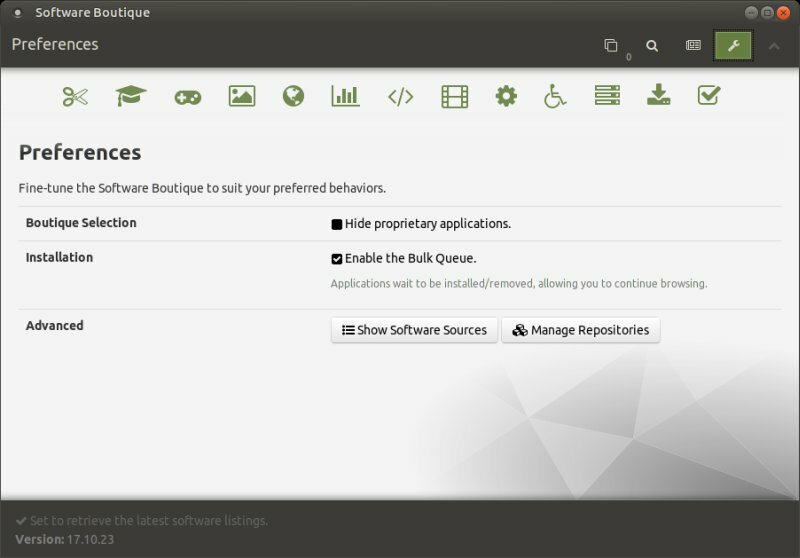 But if we put the Sisyphean politics and bickering aside, then Software Boutique is a superb program, and it should become the standard across the distrospace. 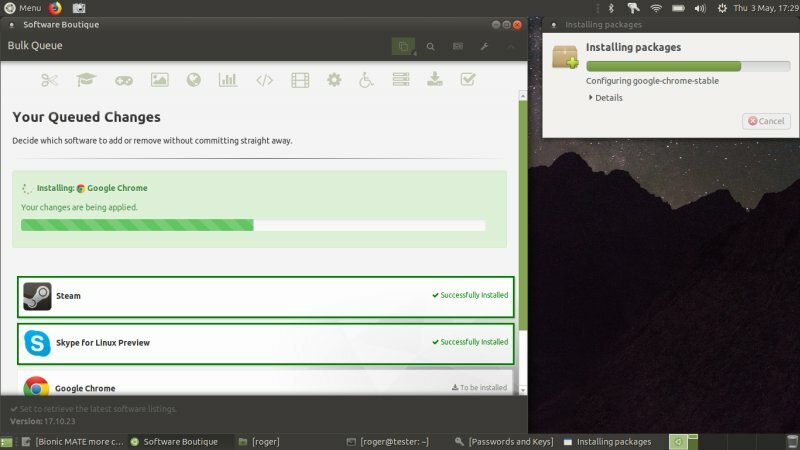 Well worth testing, and one of the strong selling points for Ubuntu MATE. Take care, and happy shopping.